Team Circle BMW will be present at the following community events in May. We hope yo see you at one of these events! When: 5/21/2017 12:00 P.M. – 3:00 P.M. Hosted by the Red Bank Environmental Commission, this event will focus on electric vehicles in an effort to raise awareness of and promote alternatives to fossil fuel powered vehicles. 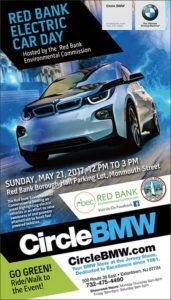 Circle BMW staff will be at the event with a BMW i3 and a BMW i8 answering any questions about BMW’s line of electric vehicles. This event will showcase Red Bank’s Electric Vehicle Charging Station on Monmouth Street with the expectation for the Borough to provide more stations as electric vehicles continue to proliferate. Music/DJ will provide entertainment on site. Local electric vehicle “car club” will be on site to offer first-hand experience and information . For more information, please visit The Red Bank Environmental’s Event Page by clicking here. When: 5/25/2017 7:00 P.M. – 11:00 P.M. Since 1913, Catholic Charities, Diocese of Trenton, has been saving lives, restoring dignity and helping individuals and families achieve self-sufficiency. Central New Jersey residents, regardless of faith background, have always found Catholic Charities programs to be welcoming and compassionate. 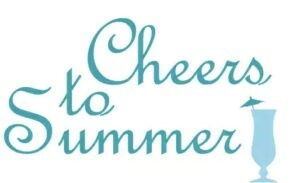 Circle BMW is a long-time supporter of Catholic Charities and is proud to be a sponsor of Cheers! Your tickets will include a fantastic evening filled with cocktails, dinner, dancing, a gift auction and a mega 50/50 raffle. For more information or to purchase tickets for this event, please click here. 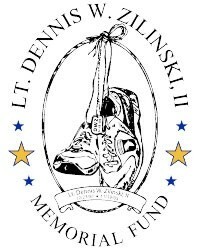 The Lt. Dennis W. Zilinski, II Memorial Fund, a Howell-based non-profit organization that provides support to improve the morale and welfare of members of the United States Armed Forces and their families, will be the recipient of a charitable donation from Circle BMW. During the upcoming Memorial Day holiday weekend, Circle BMW will donate $100 for every vehicle sold on Saturday, May 27th and Tuesday, May 30th to the Lt. Dennis W. Zilinski, II Memorial Fund. To learn more about this fund, please stop in on 5/27 or 5/30 or click here to visit their page. Circle BMW will be closed on Memorial Day in honor of the men and women who have served and made the ultimate sacrifice for our freedom and country. We give our gratitude and salute these individuals for their service to our country.